The resumption date for the completion of second semester, 2017/2018 academic session at the Adamawa State University (ADSU) has been announced. See ADSU resumption date below. 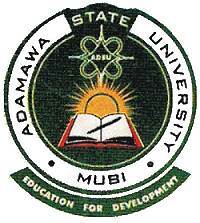 Further to the rescheduled Adamawa State Gubernatorial rerun elections, the Senate of the Adamawa State University (ADSU), Mubi, at its 18th emergency meeting held on 14th March, 2019 has revised the academic calendar, with the date for the resumption of second semester 2017/2018 academic session now rescheduled. The resumption date which was earlier fixed for Monday 18th March, 2019 has been postponed to Monday, 27th March, 2019. All students are advised to adhere to the resumption date. Parents, University Community and General Public to please note.